Sticky tax issues....a load of old fizz? I'm wondering what the hospitality industry will make of today's budget news of the 'sugar tax'? Could this mean cafes and restaurants moving away from serving those beverages with the high tax tickets on and finding lower sugar alternatives? The benefits could as much be financial as from a PR perspective: a real opportunity to jump on the healthier eating bandwagon? It remains to be seen just how much this iniative will really change behaviours. Who knows, maybe ordering a coca cola in the future will be something that draws an audible gasp from waiting staff?! There's plenty of analysis going on, and the scheme doesn't come into force for another two years, but we'll soon be hearing from the industry experts I'm sure. 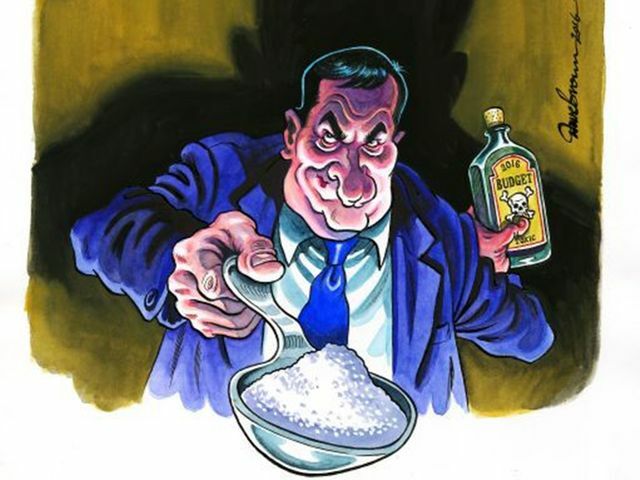 Budget 2016: George Osborne's spoonful of sugar tax hides £55bn black hole in public finances Britain is to become one of the first countries in the world to introduce a tax on sugary drinks in an eye-catching budget initiative accompanied by some of the gloomiest economic news of George Osborne’s Chancellorship. In a surprise announcement that delighted health campaigners, Mr Osborne unveiled plans for a new 24p-a-litre tax on drinks such a Coca Cola, Iron Bru and Ribena that contain the highest concentrations of sugar. Tonic water and lower sugar fizzy drinks such as Fanta will face an 18p a litre rate when the tax comes into force in two years time.